Silver Spoon Entertainment - Live Event Excellence Since 1995! : Starry, Starry Night! The stars were shining bright, as SSE traveled north to the Tripoli Country Club in Milwaukee for St. Eugene’s 21st Annual Dinner & Auction! All of our guests gathered to enjoy an evening of “Faith and Friendship on a Starry Night.” Things began with cocktails and fellowship, followed by a gourmet dinner prepared by Tripoli’s expert staff. After the “dessert dash”, it was time to bid high and bid often! The generosity of the parishioners was truly inspirational, as the winners of our silent and live auctions were announced. 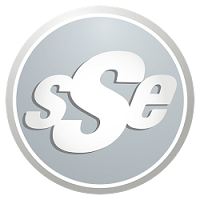 After all the numbers were tallied, it was time to cut loose on the dance floor with SSE! Special thanks to Dawne and our hosts, and especially the generous donors and bidders. We hope to see you next year, on another 'Starry Night'!